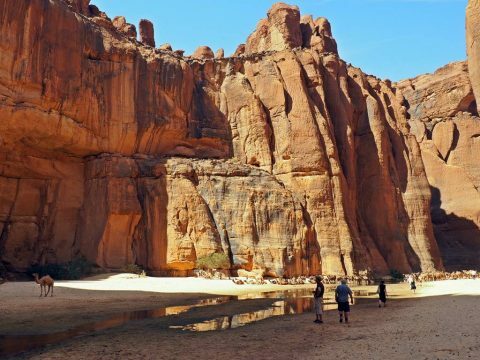 After visiting the spectacular Lakes of Ounianga we continue our tour to Chad travelling to the Ennedi massif, in northeastern of the country. 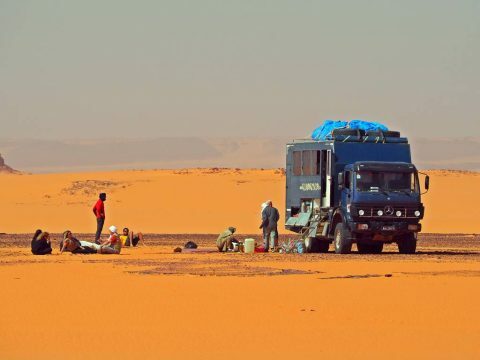 Between Ounianga and Fada there is the Mourdi depression, an enormous series of sand dunes which is the most complicated passage in the trails of this part of Chad. 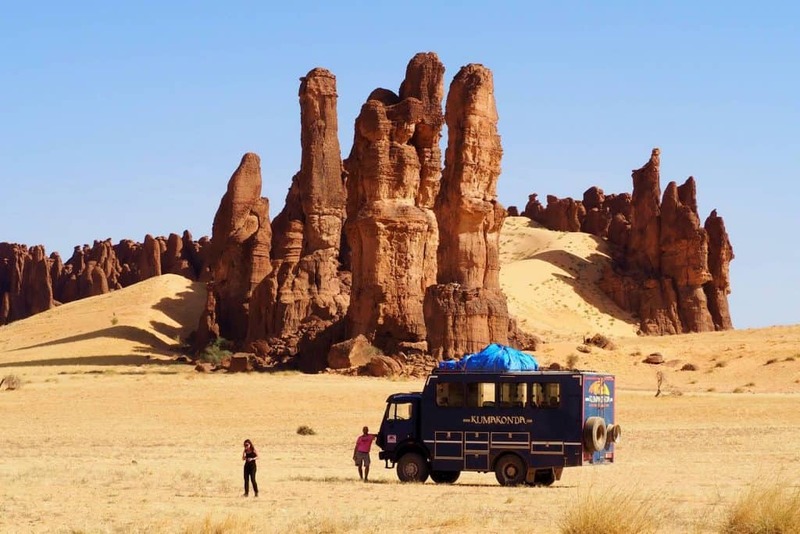 Following the ancient caravan routes that connect small Chadian towns with the Maghreb cities in the Mediterranean, we travel from the Ounianga Lakes to the Demi salines on our way to Fada and Ennedi. 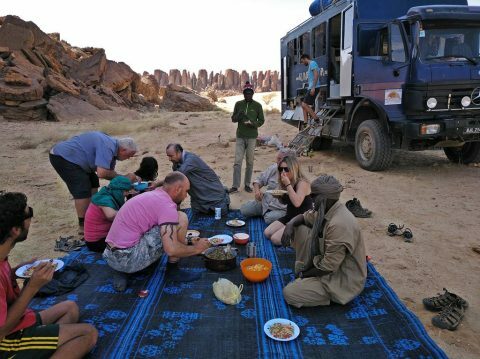 Stop to rest after passing the depression of Mourdi, north of Chad. The Demi salines are surrounded by a deep red-coloured soil, so that the result of these artisanal mines is called 'red salt'. 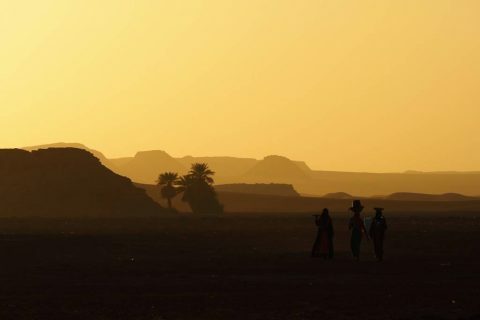 It is late afternoon and almost all the women have finished their day's work in the mines, although there are some left. It is incredible to see how in these times of globalization and 'progress' there are still people working in such a primitive way, extracting small pieces of salt from the ground with their own hands. 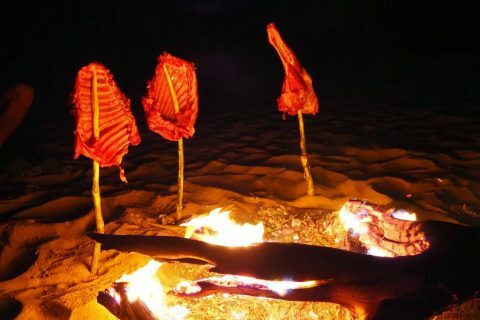 Traditionally, salt was transported on camels from Demi to Libya to be exchanged for other products. Even today, salt is the main source of local income. 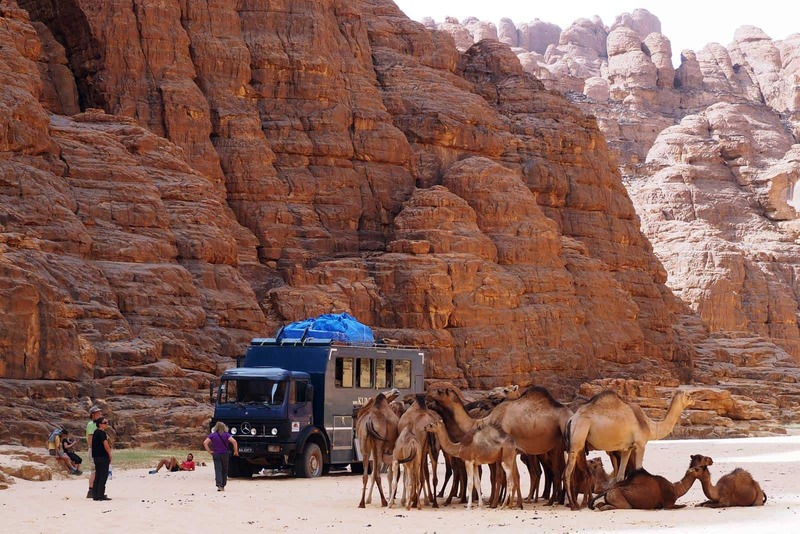 Near the salt mines we find one of these caravans that came to recollect salt to transport it through the desert. 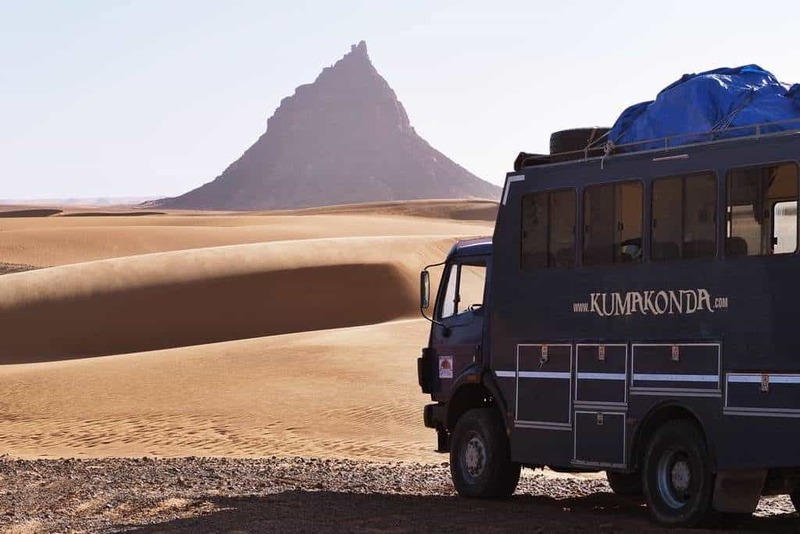 These caravans are guided by the Tubu nomads. 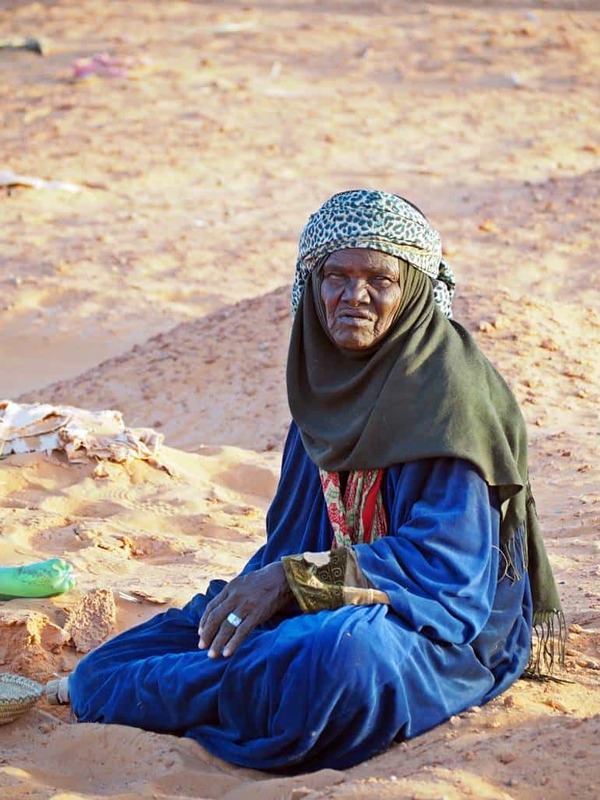 The Tubu are an important ethnic group of shepherds, living in the central part of the Sahara and Sahel Desert. 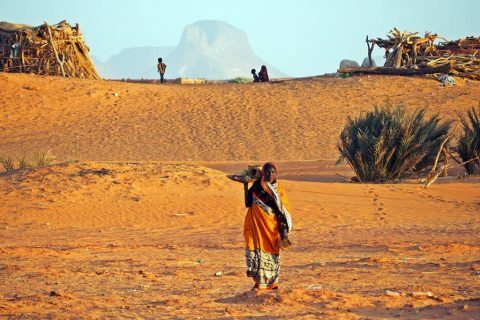 The Tubu people live in four countries in the region: Libya, Niger, Sudan and Chad. 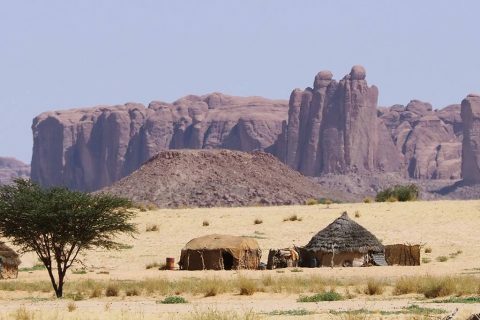 But most of them live in northern Chad. 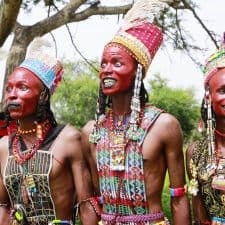 They are a Muslim people, with a reputation for being distrustful, fierce, antisocial and independent, and they are feared by the neighbouring ethnic groups for their reputation as warriors and for having historically been involved in pillaging and looting caravans. 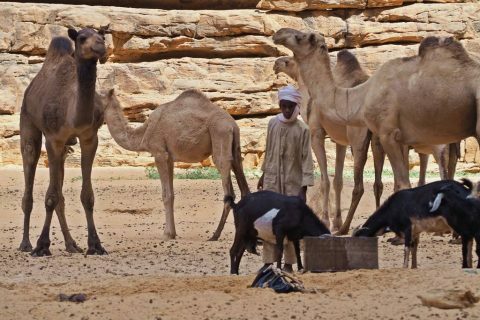 Due to the extreme harshness of the geographical region where they live and their scarcity of rains that make agriculture impossible, many of the Tubu are camel and goat breeders. 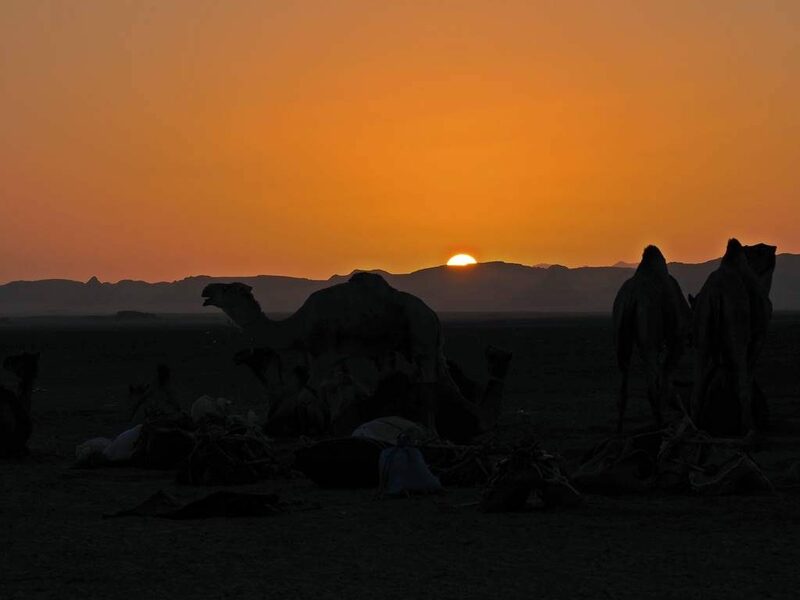 These Tubu breeders and shepherds often move to the Sahel pastures with their herds, leading a nomadic life. 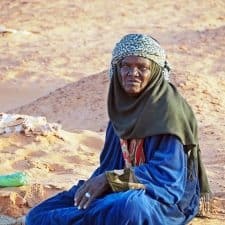 It is true that unlike the Arabic or Wodaabe nomads, in the Tubu nomads, mostly (and currently) only men move. 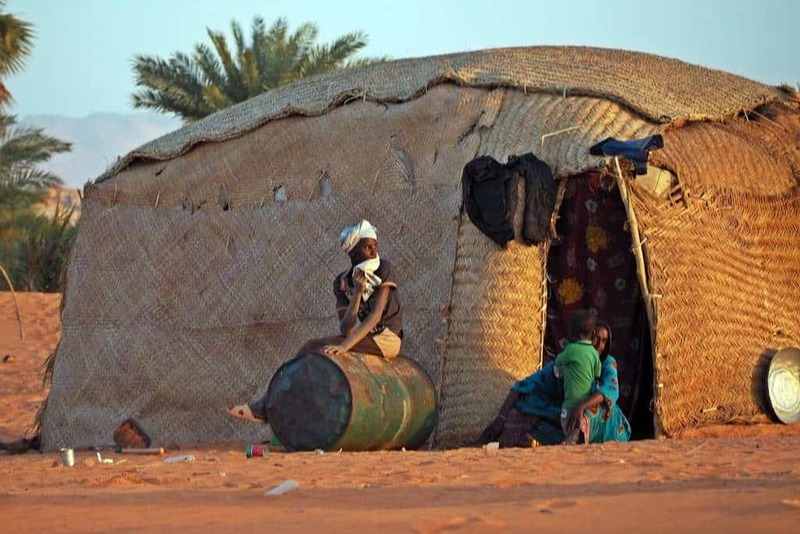 Women and children live permanently or semi-permanently in the settlements of northern Chad. 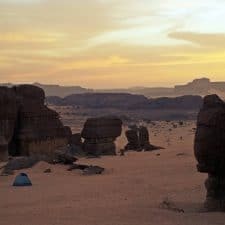 We got up early to go through the most complicated part of the trip: Mourdi depression. 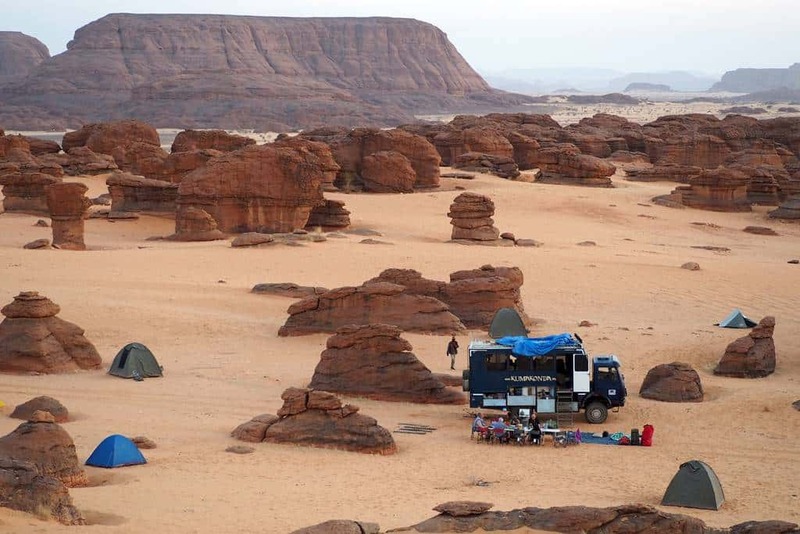 A vast space made up of a sea of dunes that follow one after the other for dozens and dozens of kilometres. But as soon as we leave Demi, in a narrow gorge full of sharp stones we rip one of the front tyres. It would be the first of the three times we would have to change a wheel. 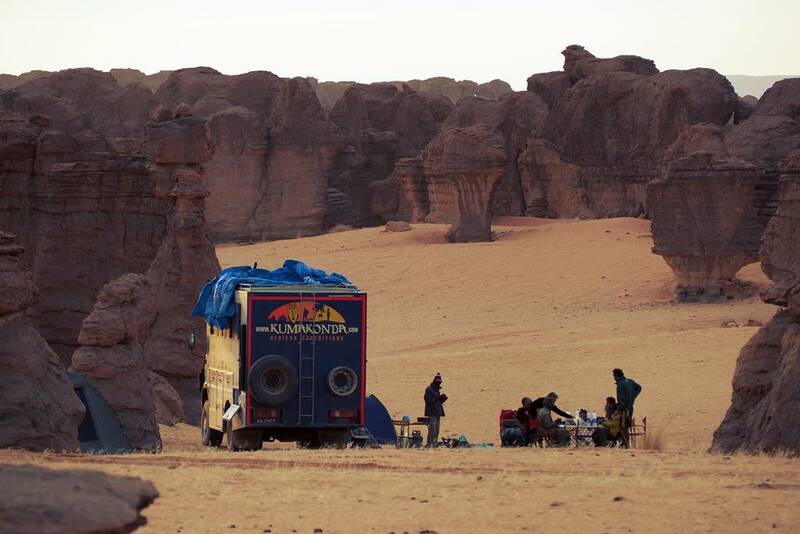 Once the tyre has been changed, we continue our journey, always looking for the best way to cross the dunes without getting stuck. 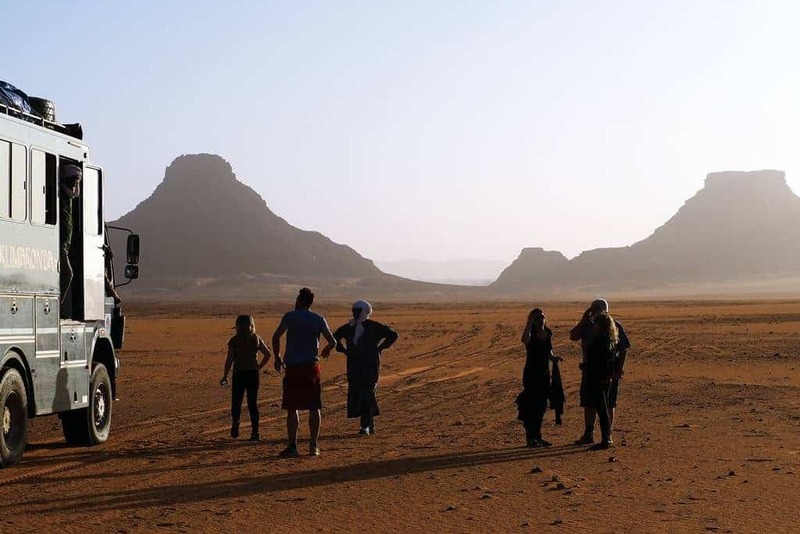 Everything learned in the dunes of Erg Djourab and the region of the Lakes of Ounianga helped us a lot, since we don't need to use the sand plates in this journey. 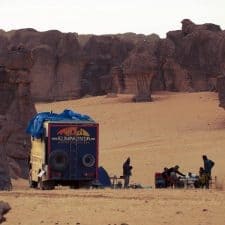 When we were surrounded by high dunes, our guide Hamit would run out to step on the sand and see which was the most compact and easiest to cross. 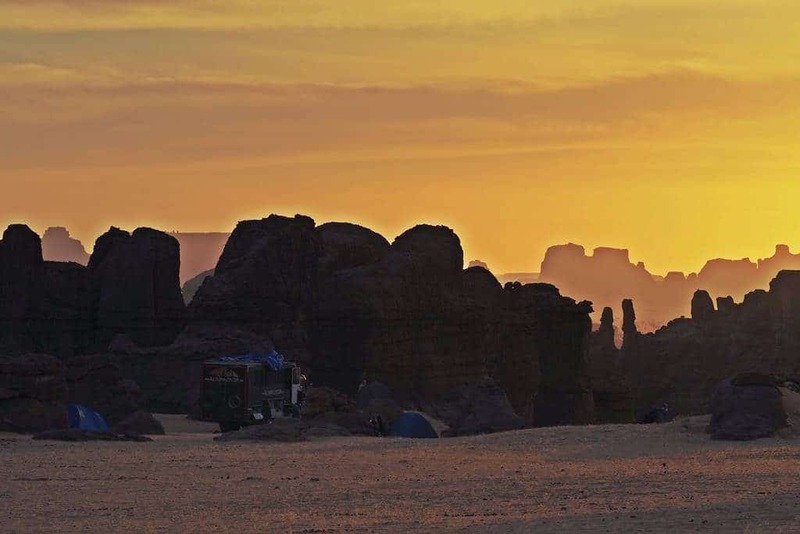 And so, among sandbanks, dunes, extensive bushes and rocky fields, we managed to pass the monotonous Mourdi depression and reach Fada, the capital of Ennedi. 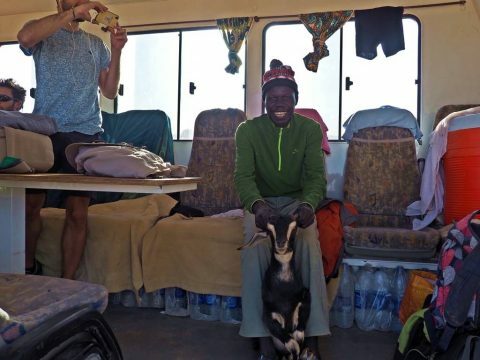 Fada is a small town, where small mud houses predominate and there is a modest market where it is possible to buy some food. Our stop at Fada was used to repair two tyres we had flattened. A masterpiece of natural sandstone and World Heritage. 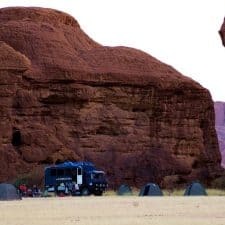 After our passage through Fada, late in the afternoon, expectant and with great desire, we head to one of the most beautiful and least traveled landscapes of the Sahara: the massif of Ennedi, the masterpiece of sandstone. 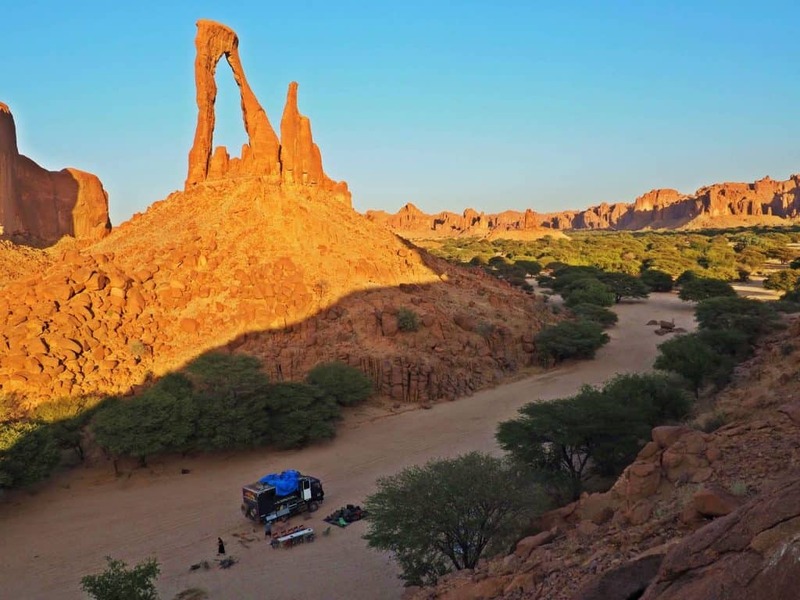 As we advance on the horizon, the Ennedi massif appears slowly and soon the landscape becomes more spectacular. 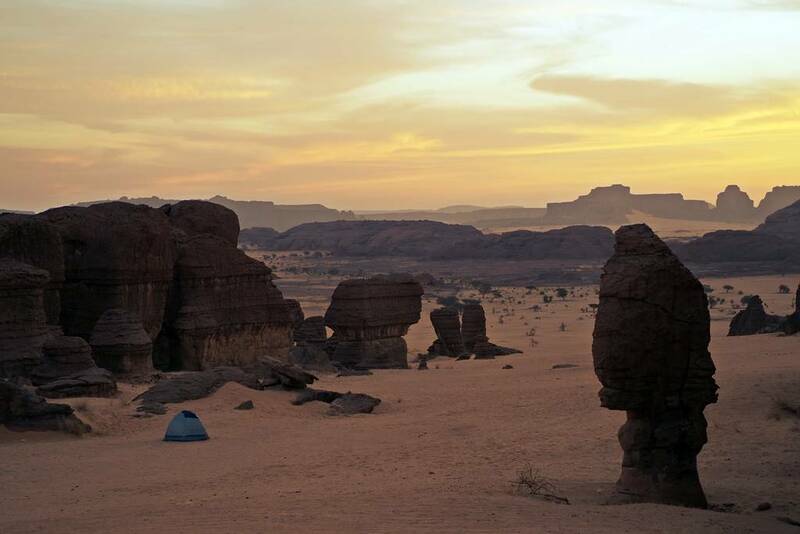 Rising above the sands of the Sahara we find an impressive plateau that has been sculpted by the erosion of water and wind, forming gorges, canyons and valleys and an endless number of extraordinary rock formations with shapes of arches, peaks, giant mushrooms (the wind blows the sand from the ground) and extravagant pillars of different sizes. 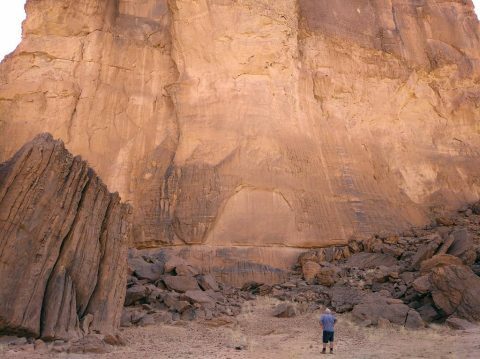 We are marveled at a landscape more typical of other worlds. 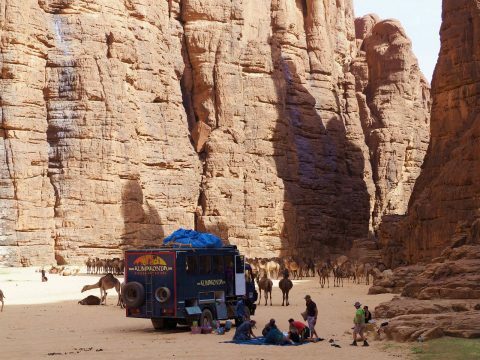 In the largest canyons, perpetual waters have a vital role in the ecosystem and are of fundamental importance for the survival of the fauna, flora and inhabitants of Ennedi, some 40,000 of whom are mostly Bideyat, almost all nomadic or semi-nomadic. 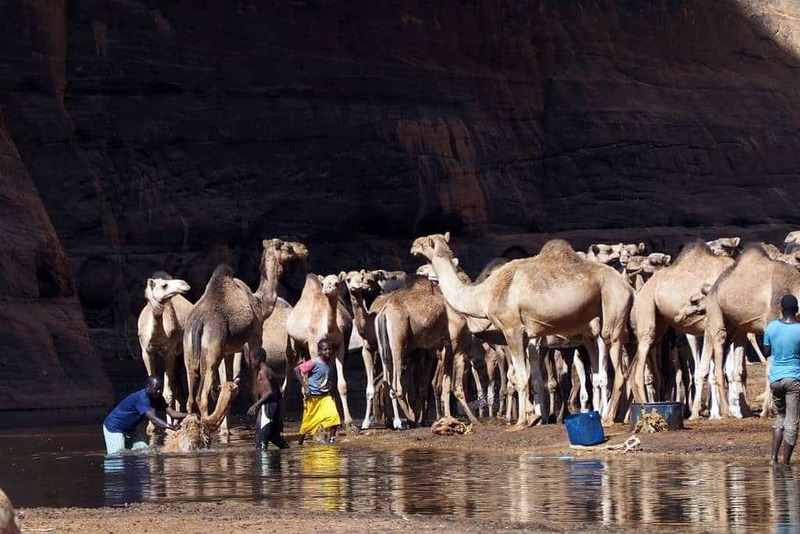 In these deep valleys the Bideyat shepherds take their herds of camels and donkeys to drink. 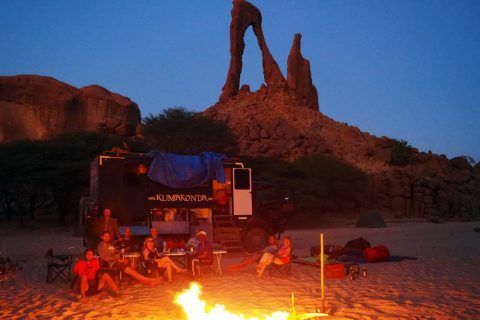 Each one of the four nights we spend in Ennedi we chose some of the best possible sites to set up our camp. 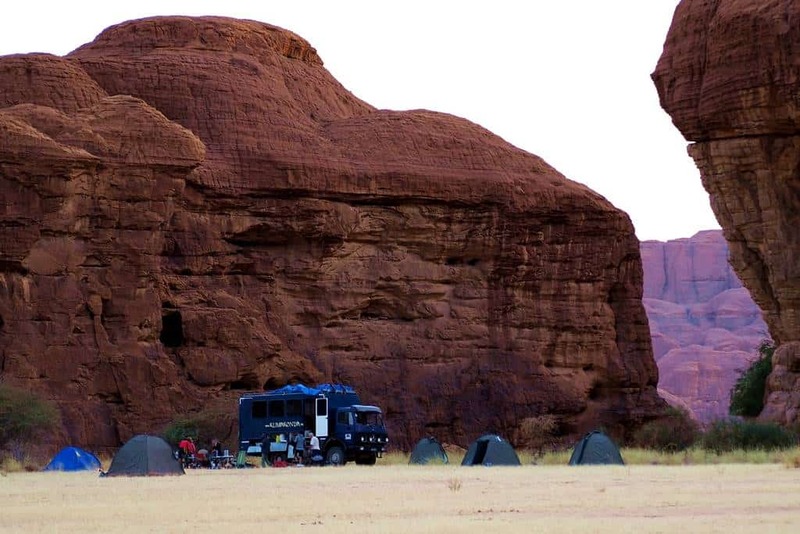 Bush camp close to the big circle of Toukou, Ennedi massif. 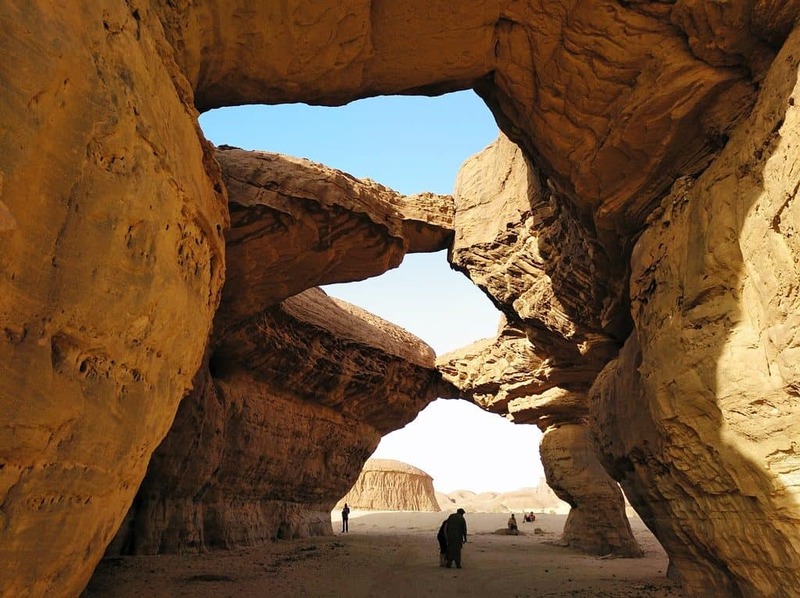 Outside the grottoes or hidden inside the caves we find hundreds of cave paintings, one of the richest and most varied concentration of the Sahara. 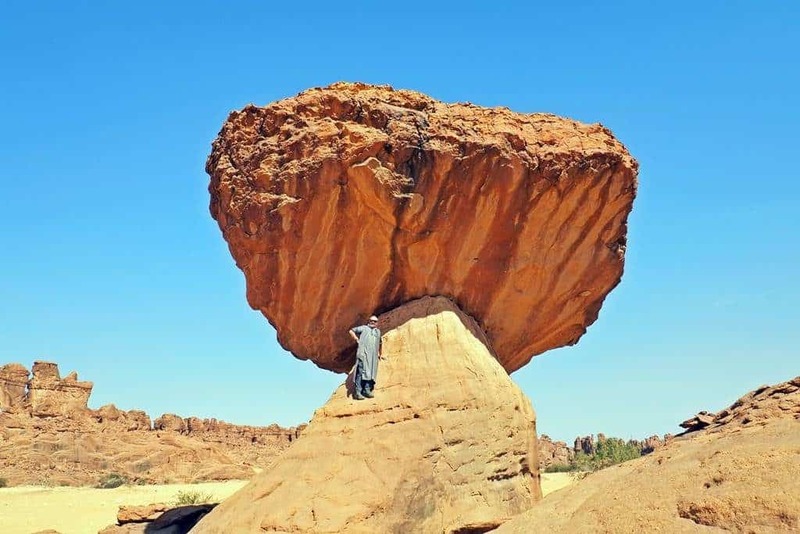 Its shape and colour are preserved by the dry atmosphere of the desert. 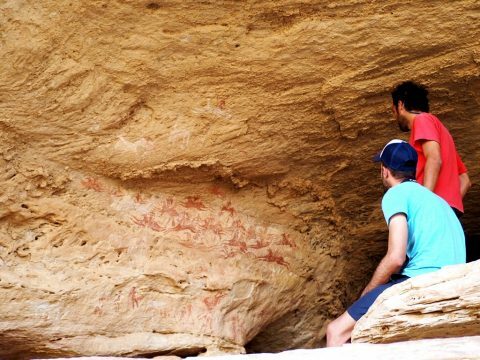 These Neolithic paintings depict wild animals, cattle, horses and warriors and the oldest date back to 7,000 BC. 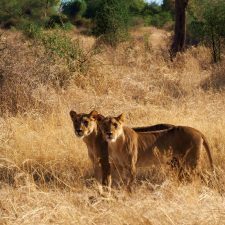 They tell the story of the area before it was affected by climate change with the presence of different wild animals such as giraffes, elephants, rhinoceroses and ostriches. 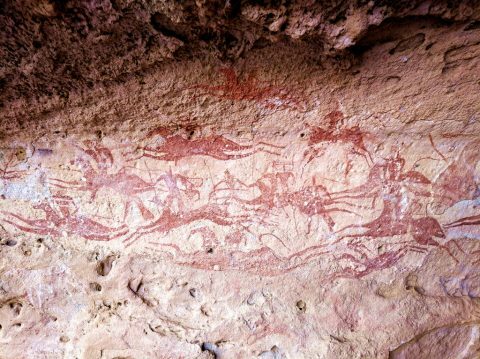 The paintings also represent the life of the communities, with scenes of warriors, shepherds with cattle and dancing women. 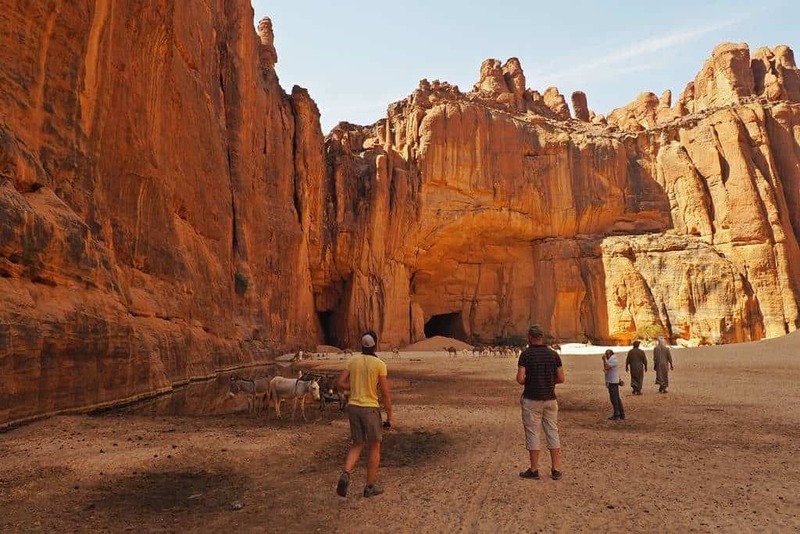 Most of the cave paintings we can see in Ennedi are paintings from the period of the cattle, the horse and the camel. 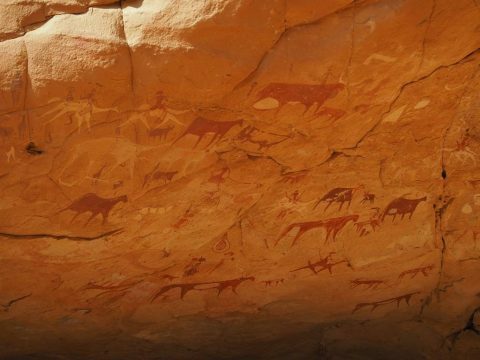 According to the predominant motifs, the cave paintings of the Sahara were divided into five large groups. Hunting period or Bubalus (buffalo) period. From 7.000 - 6.000 years BC. 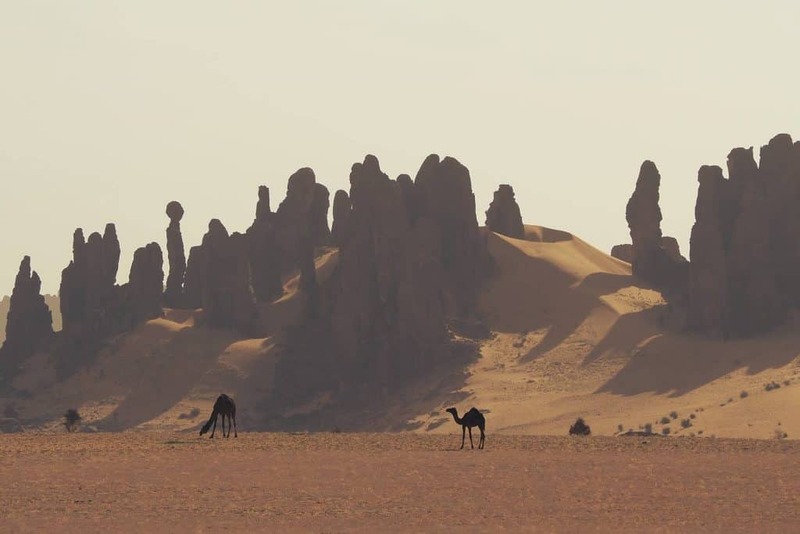 Period of camels, from the beginning of the 20th century to the present day. 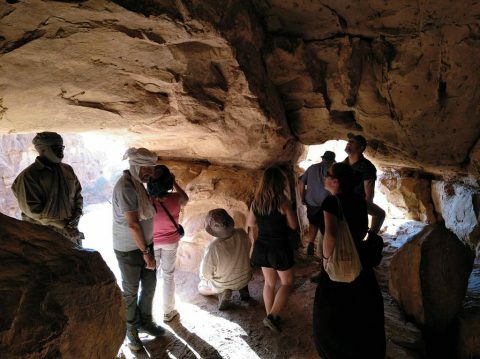 Some notorious examples of these cave paintings of Ennedi that we were very fortunate to visit were the group of paintings of Terkei and also those of Manda Gueli. 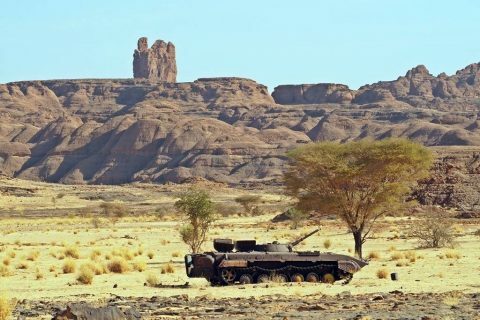 We stop at the remains of the old Russian tanks we found in Ennedi. 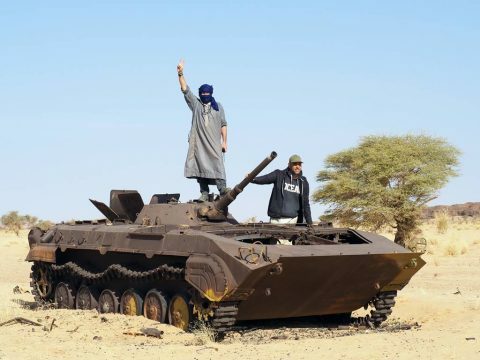 These tanks, half buried in the sand, tell the story of the defeat of Gaddafi and the Libyan army in northern Chad in the so called Toyota's war. 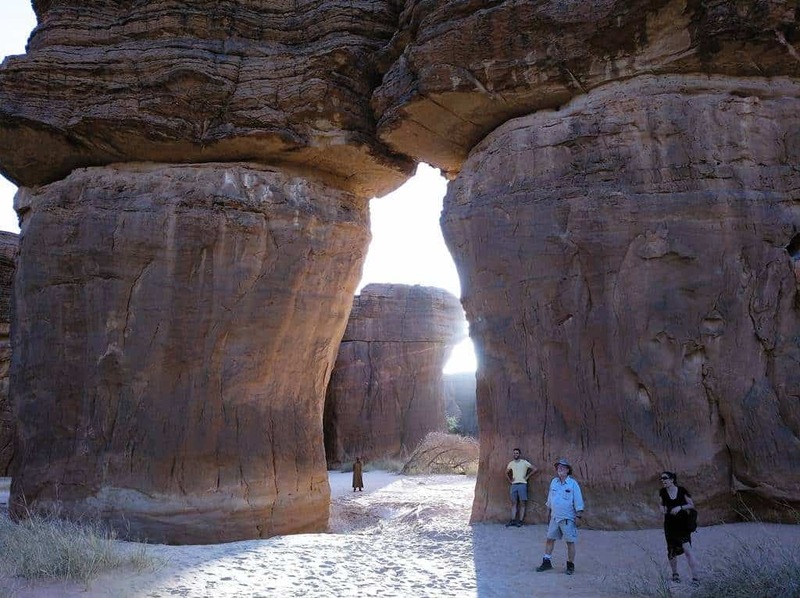 On this trip through Ennedi we visited three canyons, different from each other, but all absolutely impressive. 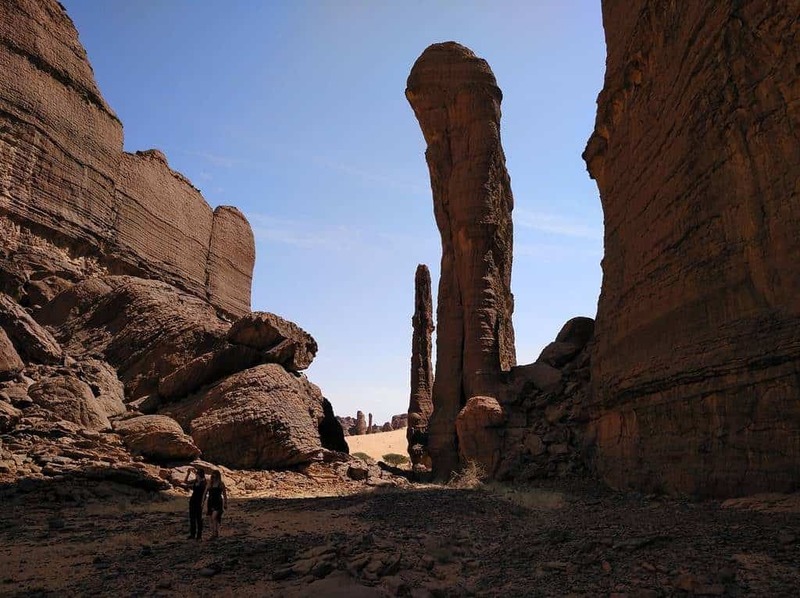 The most famous is The Guelta d'Archei. 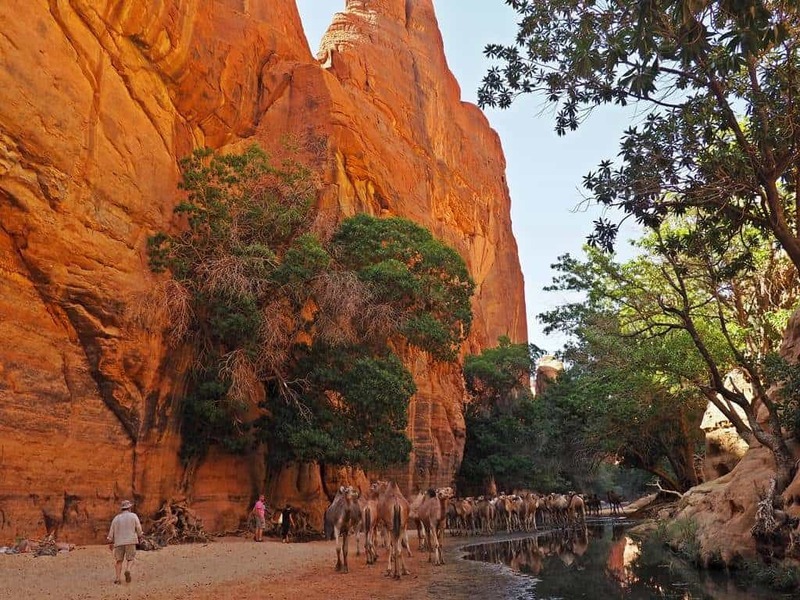 Guelta is an Arabic word used to describe a permanent natural water point in the desert. 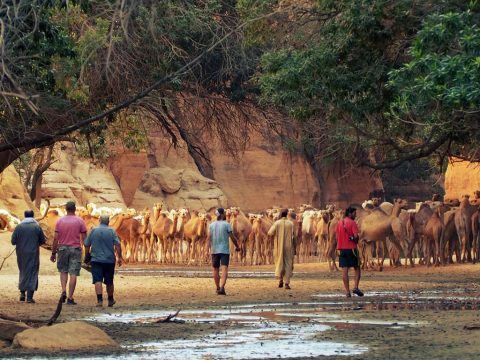 The water of the gueltas is usually a stagnant water that accumulates in the rainy season and is maintained during the long periods in which there is no rainfall. The water of the gueltas is usually also nourished by groundwater. 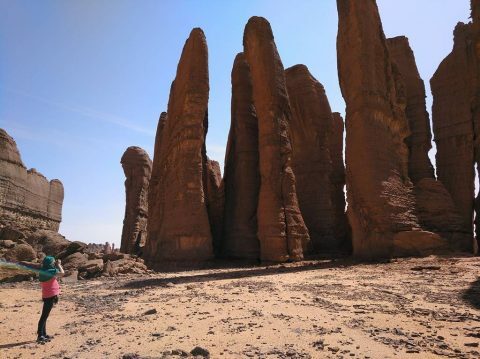 Guelta d'Archei is nourished from four permanent sources. 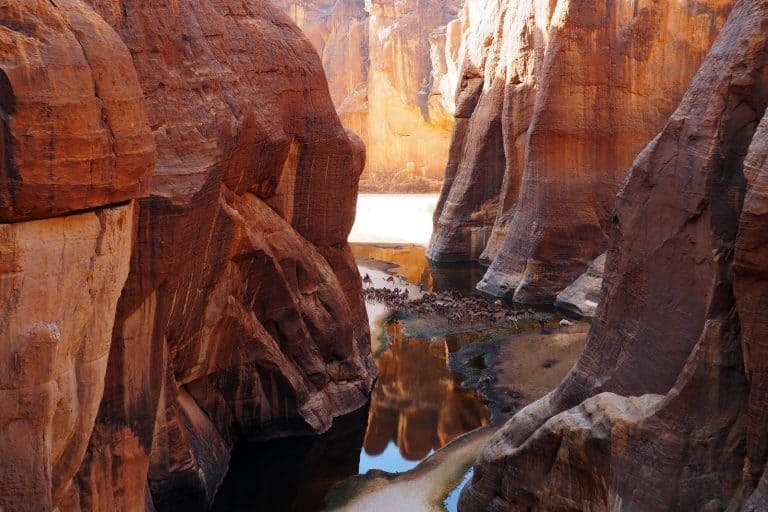 The Guelta d'Archei is possibly one of the most spectacular and impressive gorges we can find in the desert. 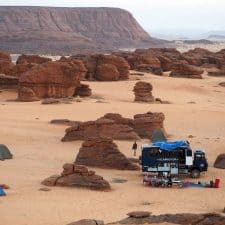 The sensation of walking into a gorge with vertical rock of 120 meters high walls, the black waters of the Guelta d’Archei, the images of nomads along with their camelades and the sound produced by hundreds of camels (depending on the time of day) that are drinking there, is an experience that none of us will forget. 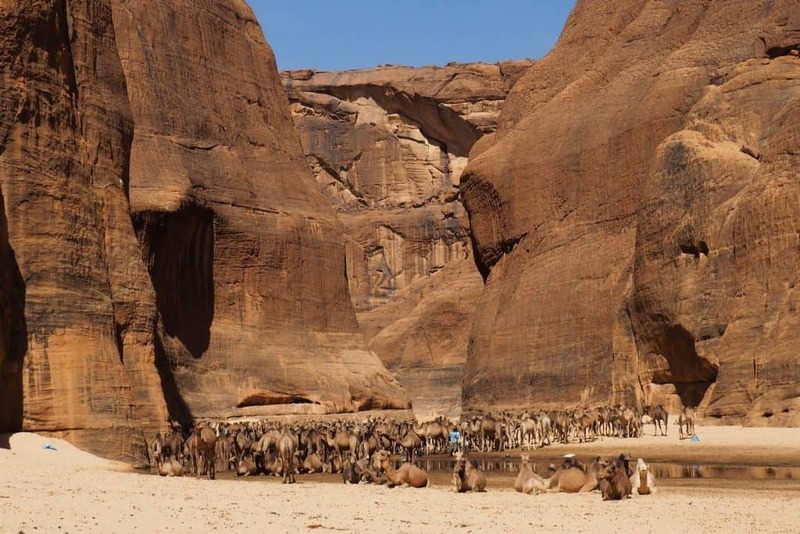 The black waters of the Guelta d'Archei are produced by the excrement of thousands of camels during years and years. 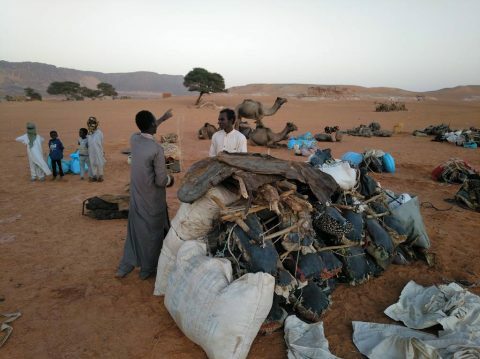 These same excrements are the ones that feed the fish, and these in turn to some of the last crocodiles of the Sahara, that inhabit in the bottom of the Guelta de Archei. 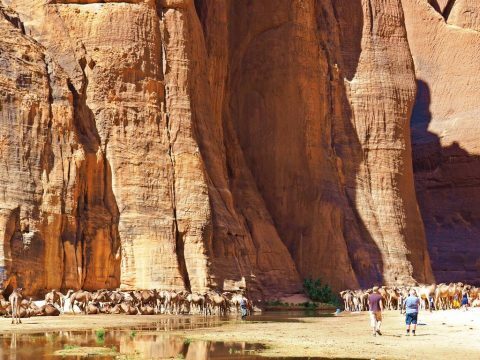 In one of the walls of the Guelta d'Archei we find an enormous cave. 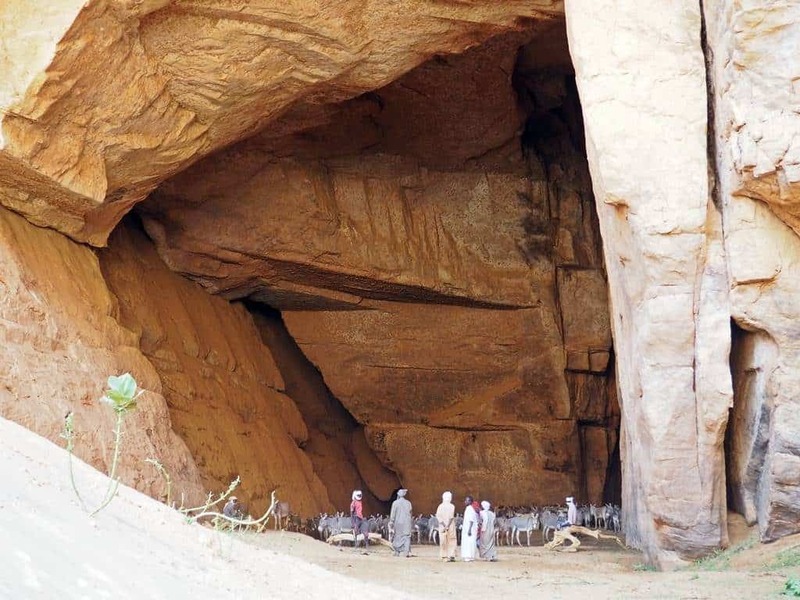 Formerly used to store slaves, today it is used as a sheepfold for dozens of donkeys. 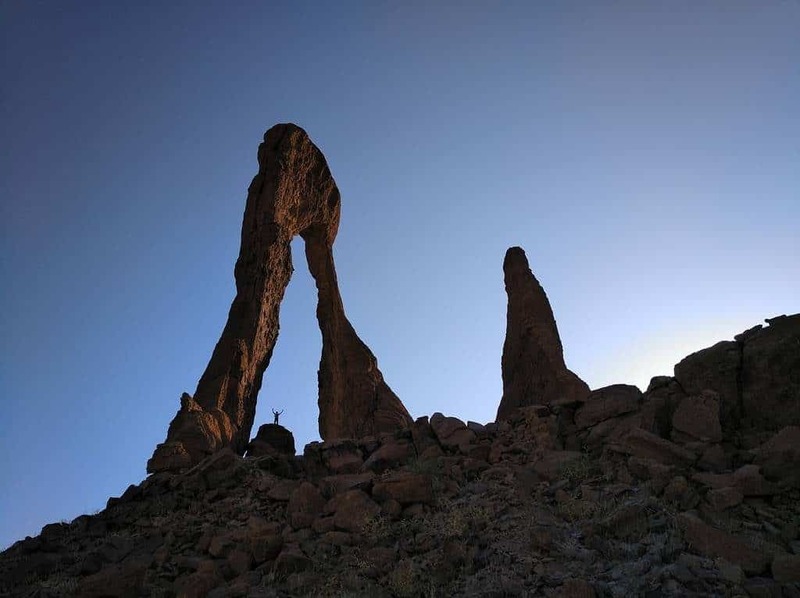 The Guelta de Bachikele is very different from the Guelta d'Archei, but no less interesting and is located 75 kilometers from there. Inside you can breathe a different atmosphere. 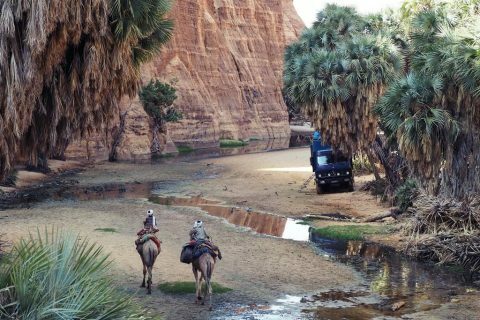 The waters of this guelta, cleaner than those of Archei, are surrounded by abundant vegetation, herbs, palm trees and different types of trees. Some of these trees give fruits that serve as food to the important colony of baboons and monkeys that live around the Guelta de Bachikele. 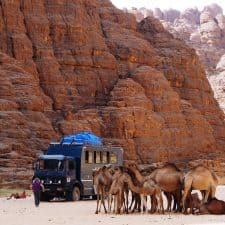 The walls of this canyon are lower than those of Archei and also the gorge is narrower so the shepherds had to "hold" their herds of camels so that we could get in and out of the gorge. 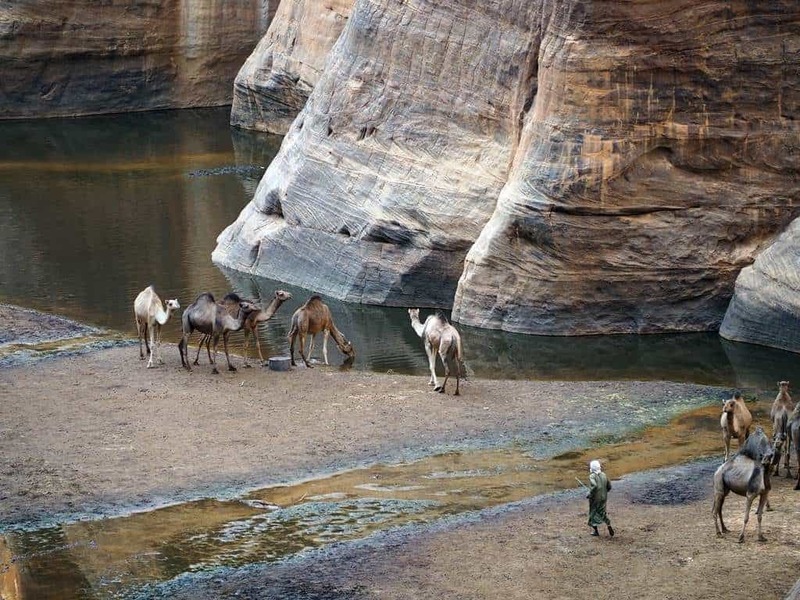 In my opinion, no less spectacular than the Archei Guelta, the Bechike Canyon is another stopover for shepherds and their herds of dromedaries, since in the depths of this gorge there are several permanent wells. 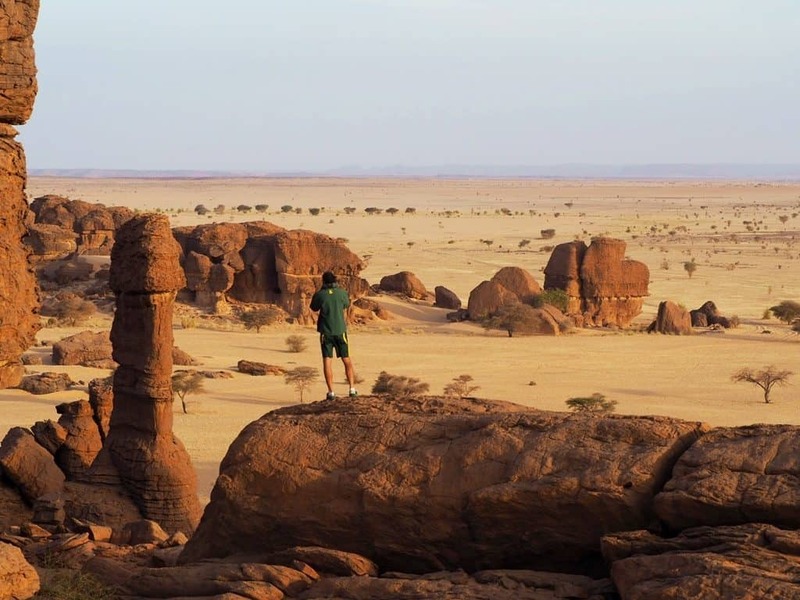 We continue to travel in this fascinating region of Chad, discovering many of Ennedi's treasures. 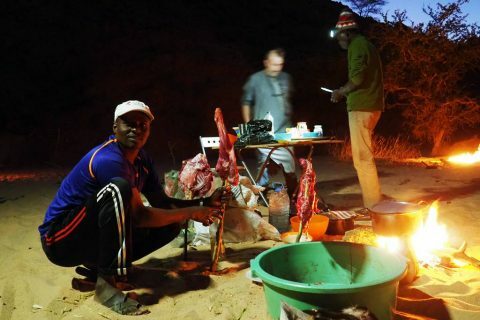 We visited some small settlements, we enjoyed our short moments of rest in the siesta time, the nice picnics thanks to our chef Gilbert and one of the nights we had a great barbecue with a goat that we bought and that Hamitwas in charge of preparing and cooking . 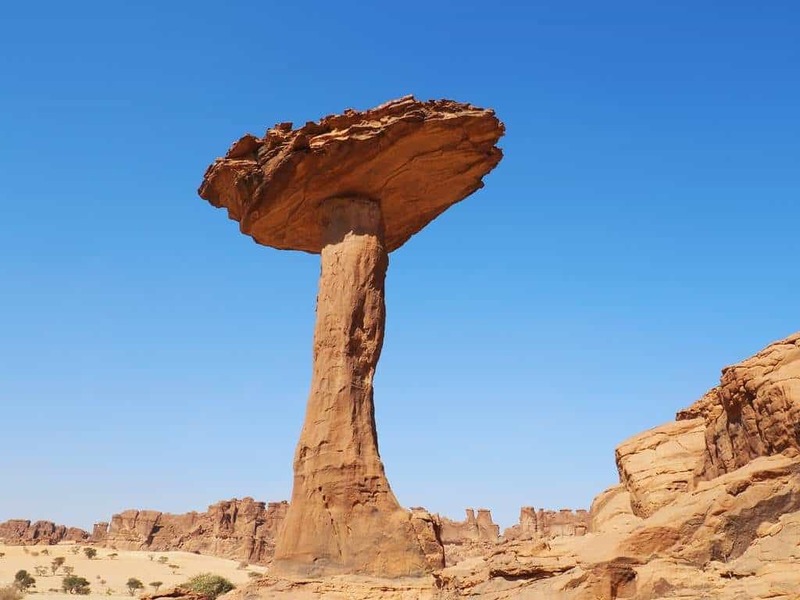 As our friend Oscar said when he saw it: "This is the work of the Martians". 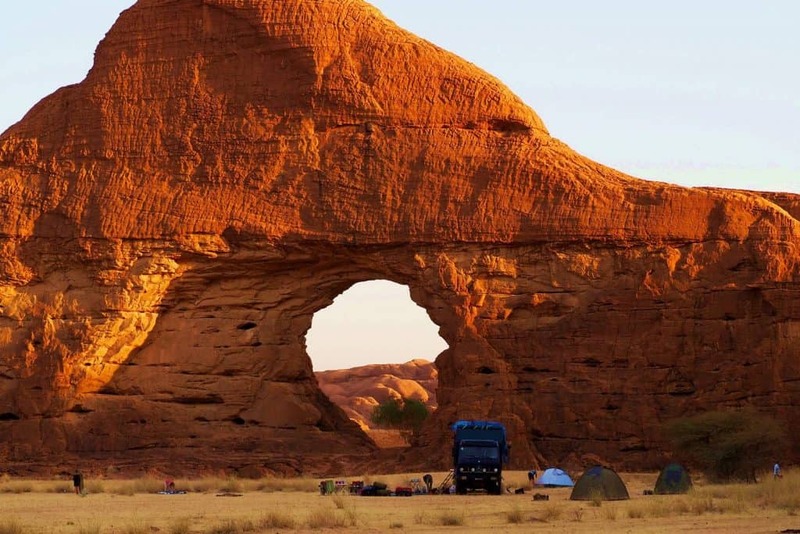 I think the phrase by itself describes this enormous stone arch that has supernatural dimensions. 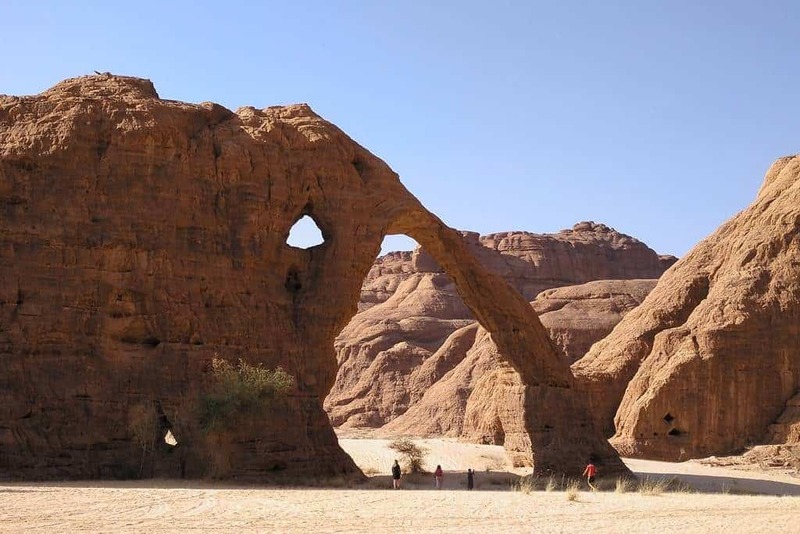 The arch of Aloba was formed millions of years ago as a result of wind and water erosion and is 77 metres wide by 120 metres high. 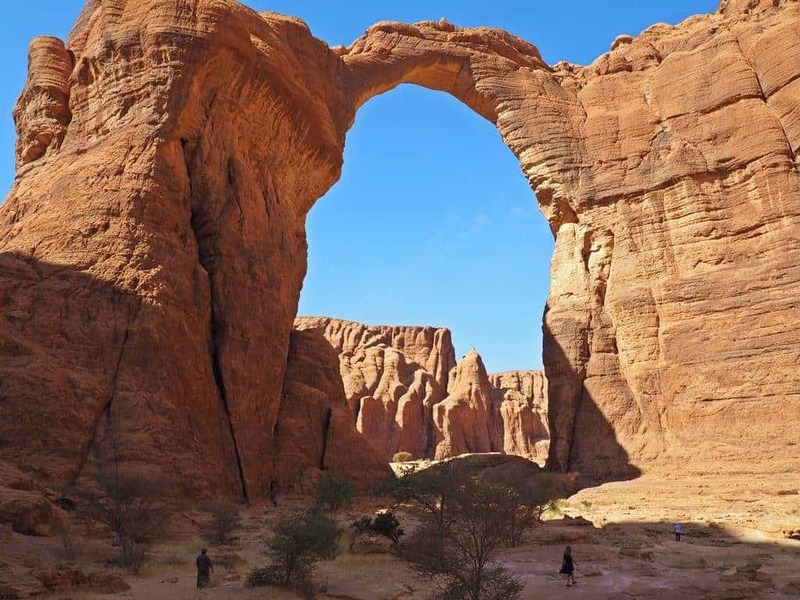 Despite being one of the most famous natural arches in the world and its wide fame, the arch of Aloba is one of the least visited natural monuments on the planet. 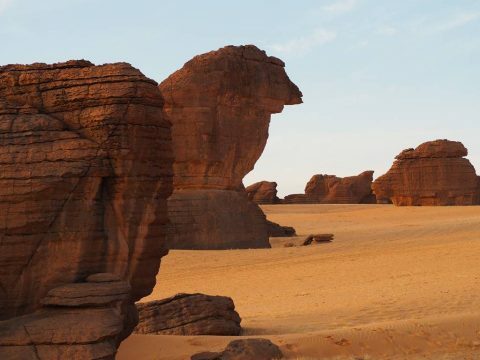 I think you could spend weeks and weeks exploring Ennedi, there are countless places that worth a visit, the forests of stone needles, the labyrinths carved into the rock, the wells, the paintings, the petroglyphs and so on. 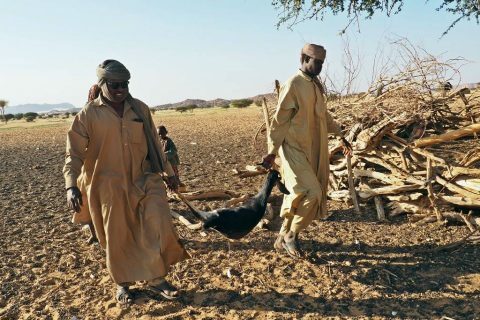 We continued our prospective trip to Chad heading towards Abeche and N'Djamena and although it seemed that all the visits were over, a big surprise still awaited us.